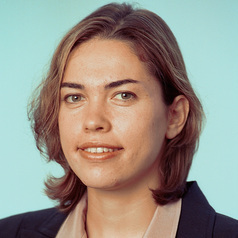 Anna Scherbina is an associate professor of finance at UC Davis. Her primary area of research is behavioral finance and asset pricing; in particular, she is interested in how investors’ information processing mistakes intersect with limits to arbitrage. Her research covers a variety of topics, such the analysis of why even seemingly sophisticated mutual fund managers may hold onto stocks that have decreased in value; of how investor disagreement about firm values affects stock prices and returns; and of why stocks with high idiosyncratic volatility tend to underperform in the future. One of her current projects documents that mutual fund managers’ personal characteristics influence their career outcomes. Professor Scherbina’s work has been published in top journals, such as the Journal of Finance, the Review of Financial Studies, the Journal of Financial and Quantitative Analysis, and the Review of Finance, and has been presented at all major universities and academic conferences. Professor Scherbina received her Ph.D. in finance from the Kellogg Graduate School of Management at Northwestern University. Prior to joining UC Davis, she was an assistant professor at Harvard Business School. She also worked at the Federal Reserve Board, the International Monetary Fund, and the American Enterprise Institute.